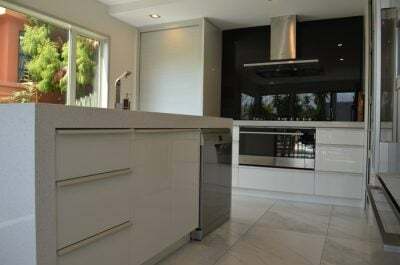 Add value to your home with a stylish and modern kitchen design like this one by the Creative Kitchens team for this home in Mellons Bay, Auckland. 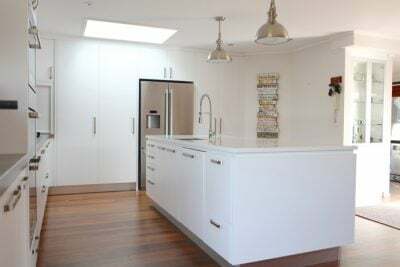 The Wen family of Mellons Bay loved the kitchen finish so much they wanted to carry the look and feel through to other areas of the house. 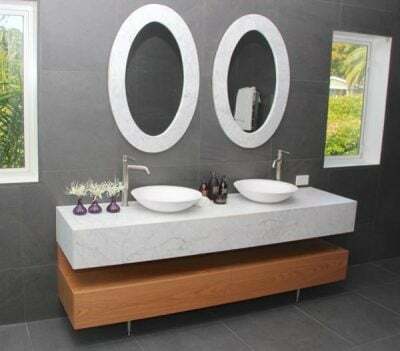 First to get the Creative Kitchens team treatment was the master bathroom with a new vanity unit. 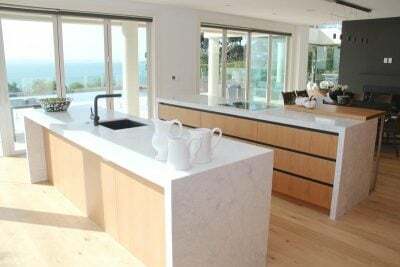 This family embarked on an extension to their Torbay home and wanted to build a new kitchen that would strongly reflect the style of the house and the family. 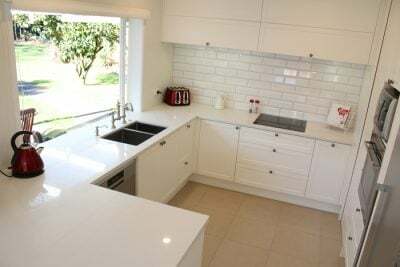 The Creative Kitchens team have done it again, with a stylish, modern and funky kitchen design for this home in Clevedon, Auckland. 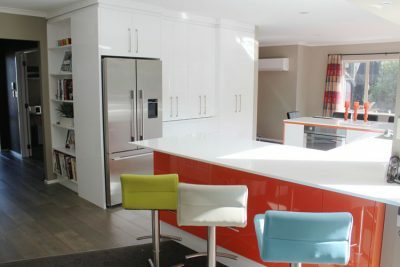 Home to this family for close to 15 years, the Creative Kitchens team was called in to transform the kitchen into a vibrant, bold statement in Dannemora, Auckland. 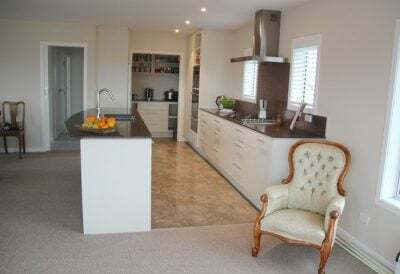 Planning a complete refurbishment of their 1950's Bucklands Beach home, this couple met with Ernie from Creative Kitchens to discuss a stylish new kitchen. 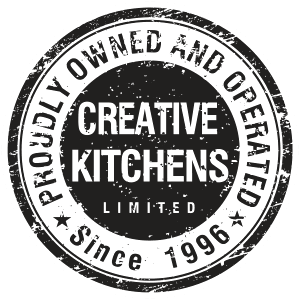 Check out Creative Kitchen's latest kitchen renovation project in Farm Cove. This functional, yet stylish kitchen in a family home, has been brought up to date. 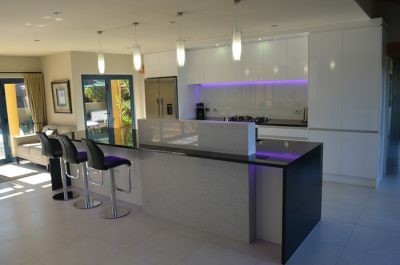 Creative Kitchens were involved in the design and installation of this stylish family kitchen in Shelly Park. 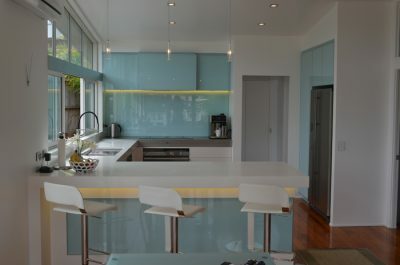 The brief for this kitchen was simple; sleek and stylish, yet practical and durable. 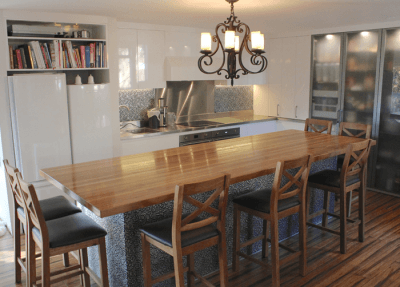 Because this was a custom designed and built kitchen, the client had autonomy to decide on specific requirements, like the size and height of drawers and shelving. Elegant yet functional is the best way to describe this kitchen. 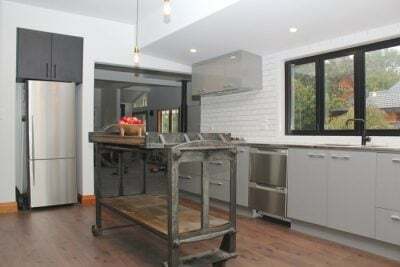 The design team at Creative Kitchens were asked to custom design and build a kitchen that would fit this family home. This cosy kitchen has a modern design that fits the look of this home. With a layout conducive to functionality, the warm tones and clean lines in this kitchen create an overall inviting atmosphere. When Creative Kitchens were called in to design this kitchen, interior designer Jordan immediately suggested Blum Servo Drive - push to open motorised drawers and push catches for all cupboards and drawers. 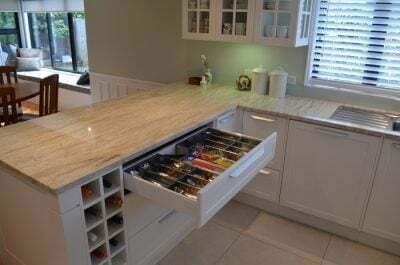 This would negate the need for handles, giving the kitchen a clean, sleek look.